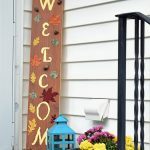 Thanks to Treetopia.com for sponsoring this post. 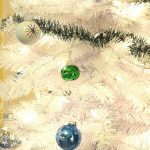 I received an artificial Christmas tree in exchange for my honest product review and opinion. 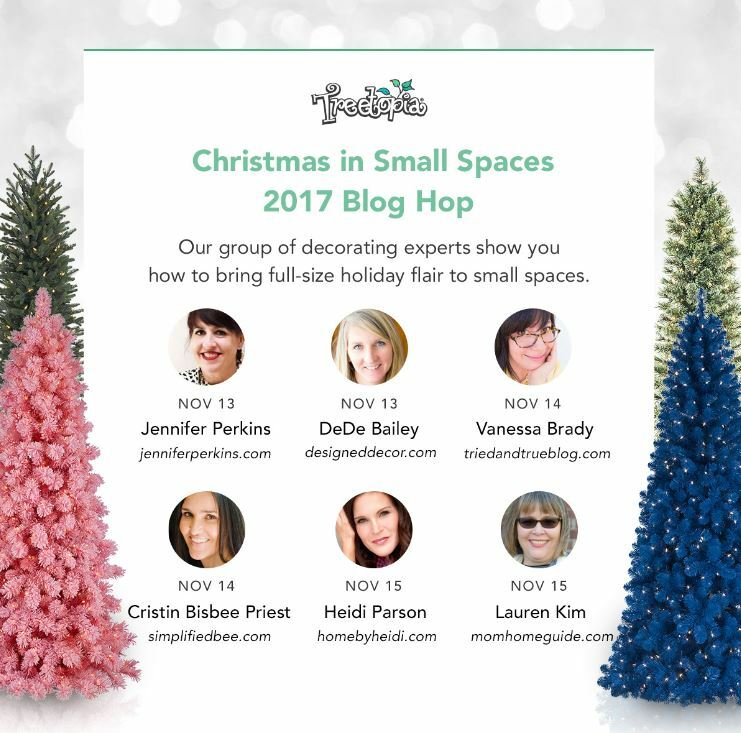 Welcome to the third day of the “Christmas in Small Spaces 2017 Blog Hop.” In this blog hop, five other bloggers and I share how we decorated a small space for Christmas using faux Christmas trees and other products from Treetopia.com. 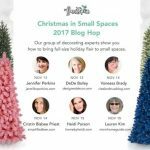 You may remember that last year I participated in the Treetopia White Tree Mystery Blog Hop. For the hop, I decorated their Skim Milk White Pencil Tree in a snowman theme. Decorating that tree was a lot of fun! This year, I wanted to add a Christmas tree to my home’s second floor. That floor has a wide hallway between my home’s four bedrooms. I thought it would be nice for my daughters to have a Christmas tree outside their bedrooms. 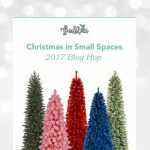 For my tree, I chose a 8.5′ Foxtail Pine Christmas Tree from Treetopia. 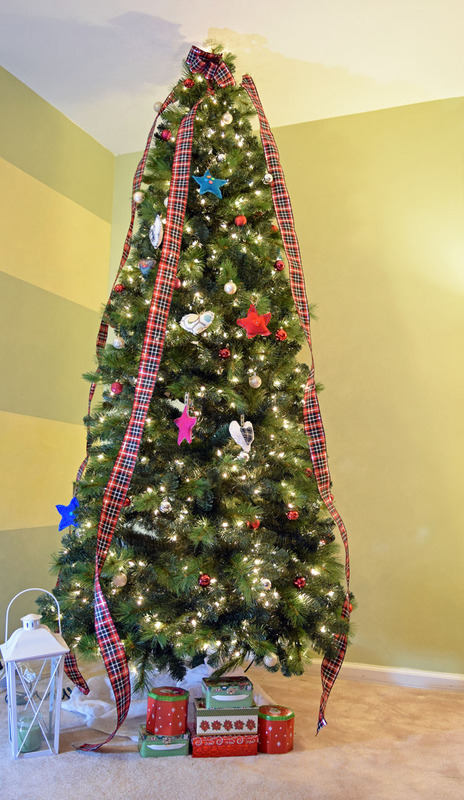 This slim 44″ artificial pine Christmas tree looks quite full, but is just thin enough to fit intgo a tighter space. 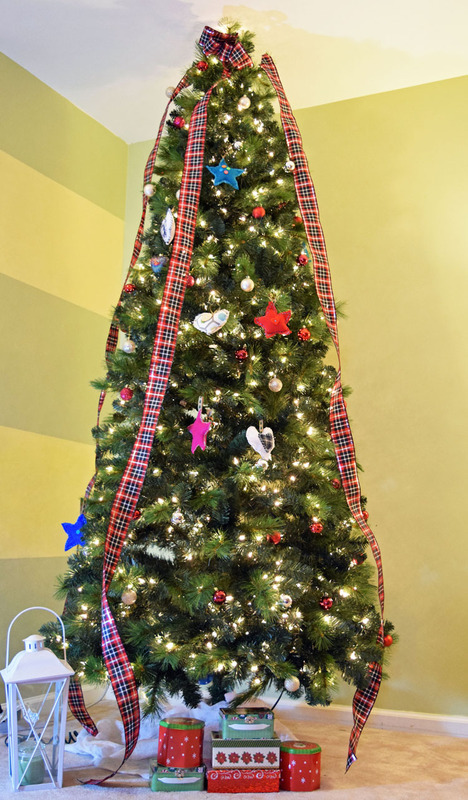 Over 8 feet tall, it offers the height that many look for in a Christmas tree! 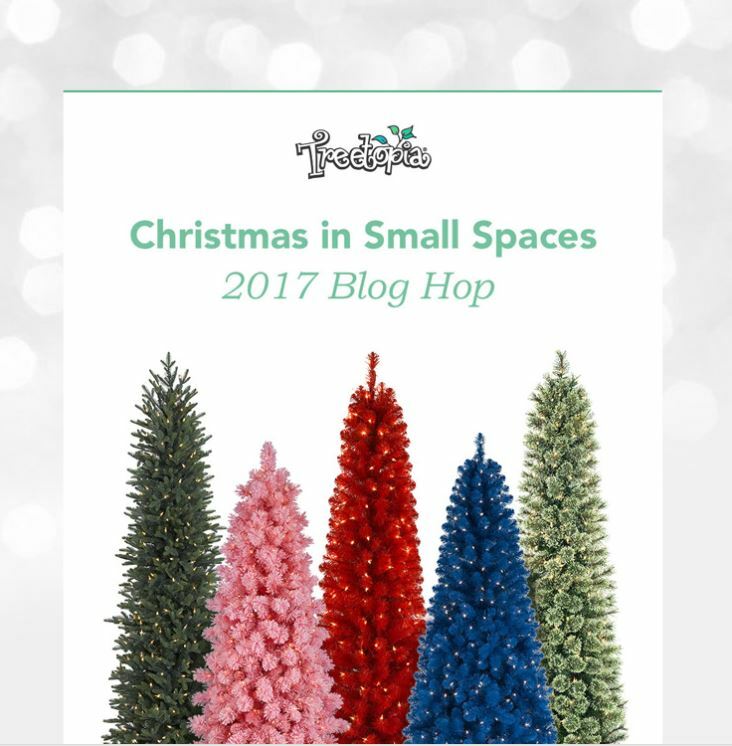 Treetopia has many green slim and pencil trees plus colorful slim and pencil trees for small spaces. My twin teen daughters helped me to put this tree together. This pre-lit tree has hinged limbs and comes in just three parts, so we were able to have this tree up in minutes! I love the warm, soft glow that the white lights cast in our hallway. It’s such a pretty sight from our bedrooms. I adore the plaid I’ve been seeing this year in home decor and fashion. I just had to add some plaid to my Christmas tree! I simply cut three lengths of plaid ribbon and hung them vertically from the tree. 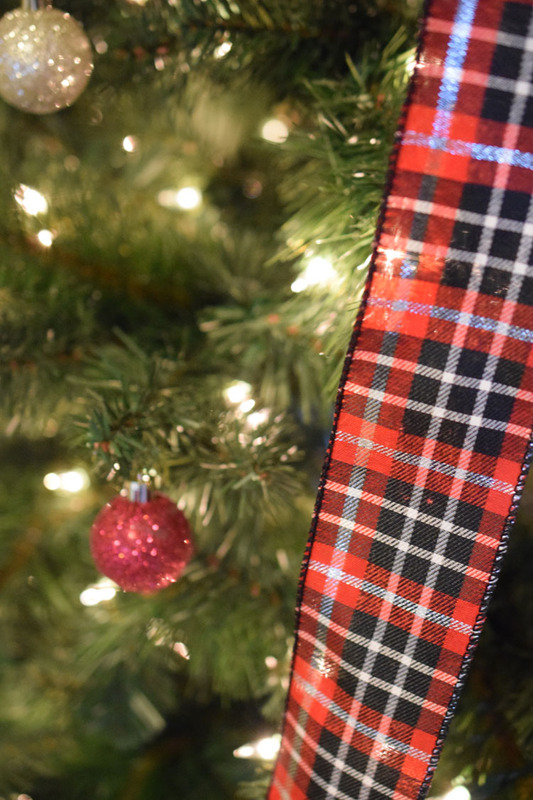 I used some extra plaid ribbon to fashion a simple bow at the top of the tree. I made a few handcrafted ornaments for my family’s new Christmas tree. 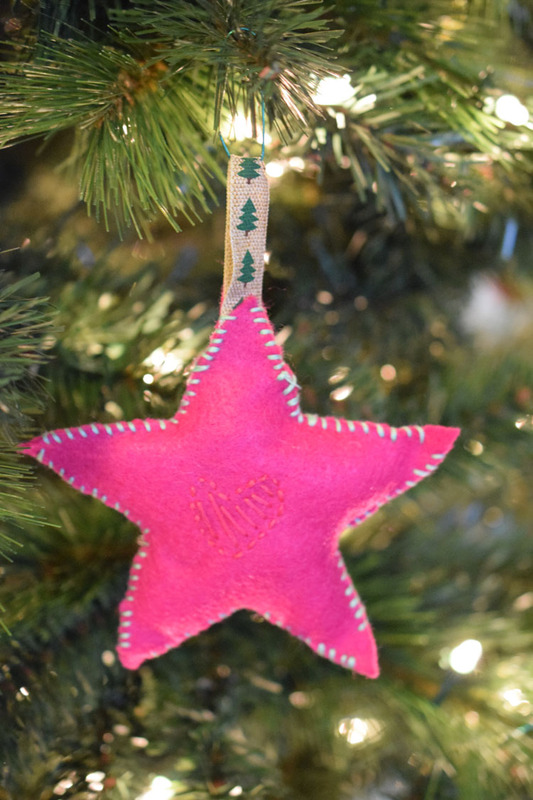 These ornaments were easy to stitch together out of some felt, embroidery thread and fabric scraps. I sewed loops of Christmas-tree adored ribbon on to the ornaments to hang them from. One of my daughters also sewed a homemade ornament for the tree. 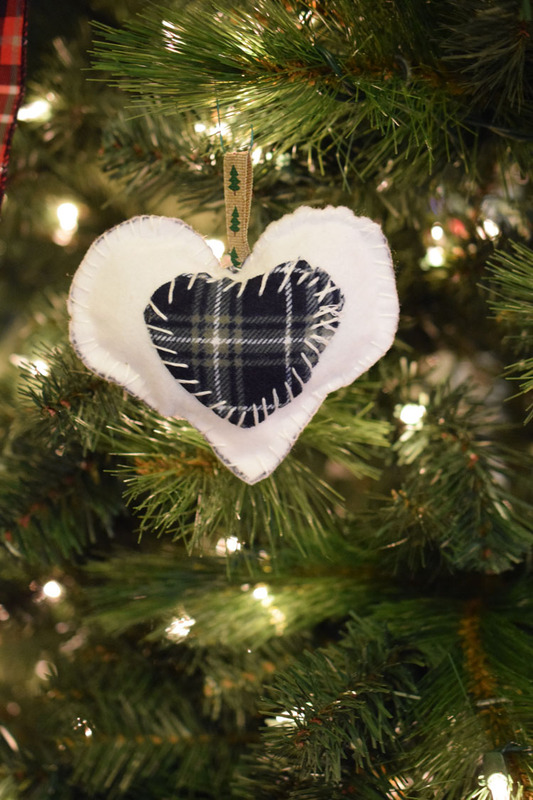 I love her careful and neat stitches and the sweet heart she embroidered on the ornament! 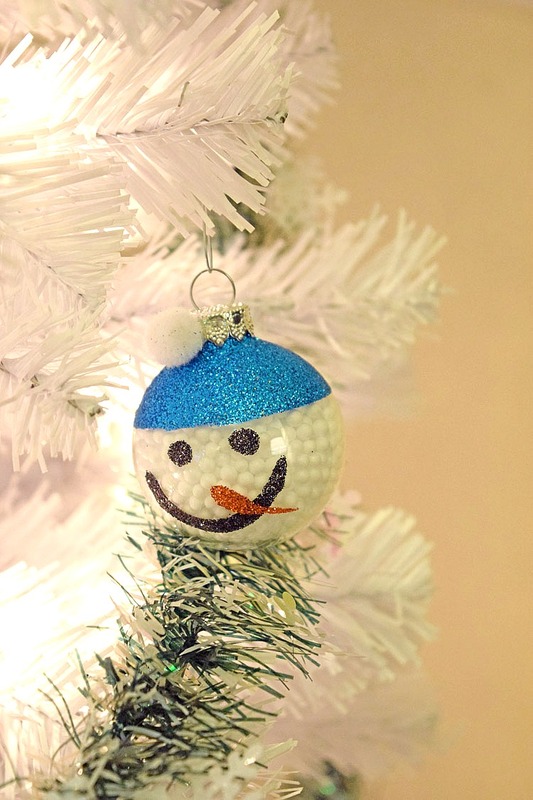 I’ll be sharing how to make these simple but pretty ornaments later this month! I love that my new Christmas tree has a foot pedal that I can use to easily switch the tree on and off. Since the outlet for the tree is in a corner, it would be tough to squeeze past the tree to plug in the tree. Under the tree are some pretty boxes and tins that I use to give my daughters mini “countdown” gifts. I give my daughters mini gifts each day (gum, mints, etc.) for a few days before Christmas. It’s a fun tradition my kids enjoy. 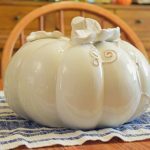 Thank you for sharing your awesome creative ideas! Such pretty homemade ornaments, Lauren! Love that white one with the b/w plaid heart in the middle. 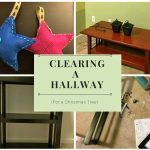 Your tree turned out great and such a perfect spot for it in your home! What a beautiful tree! 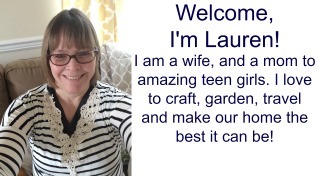 I love the plaid theme too!